The unit boasts of all stainless surfaces on the exterior. It is made with welded and finished stainless steel seams which make it tough and rugged. The Cool to the Touch control knobs will keep you safe and free from accidents. The 6” legs with adjustable feet of the unit are all chrome plated. In order to reduce heat build up the unit has a double-venting beneath the S/S high-back shelf. It also has a “No Burn Zone” which helps to reduce burn stains on S/S back. Comes with 35,000 BTU/hr. lift-off burner heads for fast cooking. Equipped with a 12” x 12” heavy duty cast iron section grates which can be removed easily. 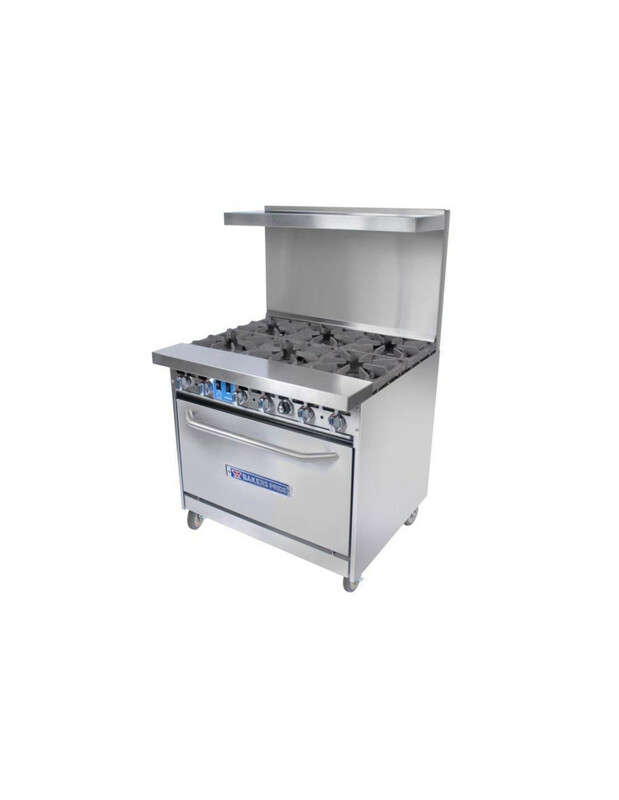 The oven of the unit has a welded front frame which makes it tough and durable. The unit’s oven is fully insulated so there is minimal risk of accidents. The interior of the unit is porcelainized which makes it easier to clean and maintain. The thermostat range of the oven is 150°– 500°F. It also comes equipped with a double-wall open flame spreader. These are just some of the features of the BPXPR-6 Six Burner Range with Oven which makes it a very versatile piece of equipment in your kitchen. It’s also made by Bakers Pride which is one of the leading names when it comes to commercial ovens. Bakers Pride Oven Company brings 70 years of excellence as a U.S. manufacturer of widely distributed commercial baking, cooking, pizza, and broiling equipment worldwide. It was created in 1945 with its headquarters at The Bronx, New York, USA. Bakers Pride made a drastic innovation in the American history of cuisine by revolutionizing the modern production of commercial pizza ovens. 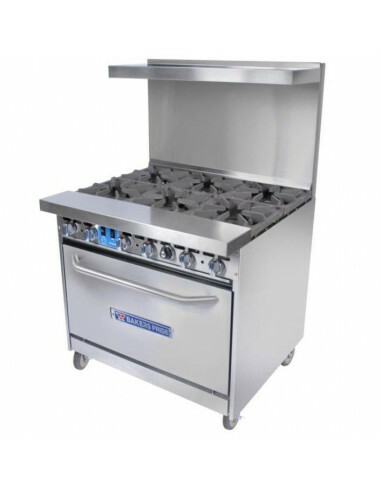 The company provides various quality deck ovens, convection ovens, countertop ovens, charbroilers, cooking equipment, and griddles to meet the ever-changing demands of the foodservice industry around the globe.